Maxie Jones may have trouble getting all of the men in her life to get along on General Hospital, but her alter ego doesn&apos;t have that problem! 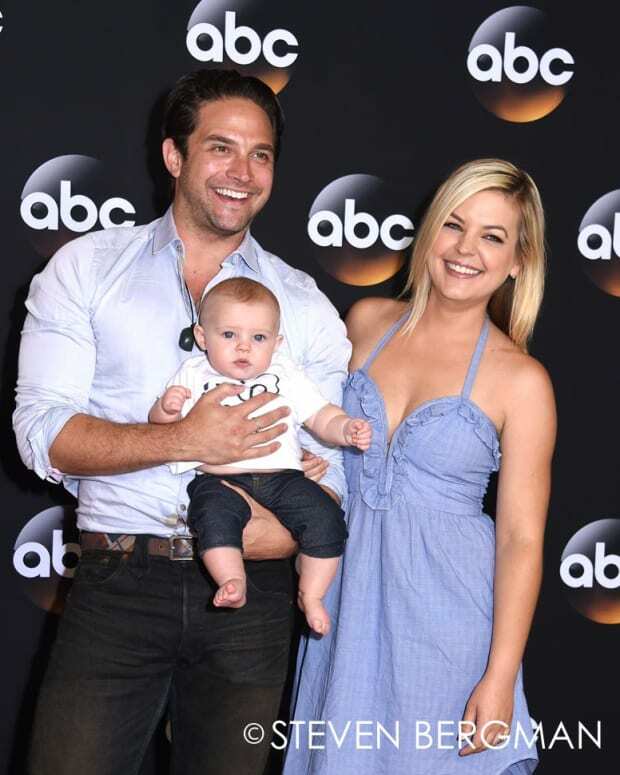 Kirsten Storms, her real-life hubby Brandon Barash (ex-Johnny) and their baby daughter Harper recently caught some sun at Universal Studios Orlando with one of Storms&apos; two leading men! The visit was captured for posterity by syndicated newsmagazine Extra. Host Mario Lopez interviewed Storms and Ryan Paevey (Nathan) at the theme park. Click here to watch the video!